Boogie Down With Baby Loves Disco! Now that you’re a mom, do the days of dancing wildly with your friends in night clubs seem like a distant memory? Do you sometimes miss rocking out to tunes that you don’t hear on Nick Jr. or Sprout? We’ve found a solution! Baby Loves Disco is a growing movement, started by mother/former dancer Heather Murphy and father/music executive Andy Hurwitz, that brings parents and kids together to have a blast at afternoon dance parties across the country. Families have an opportunity to meet new people, get exercise and have fun in a safe and healthy environment. The events, which take place in cities from San Francisco to Louisville to Virginia Beach, transform hip night clubs into family-friendly play dates, where real DJ’s spin a mix of dance hits from the ‘70s and ‘80s. Kids (from about 6 months to 7 years old) can boogie down with hula hoops, scarves, egg shakers and bubble machines, and moms and dads can join them on the dance floor or have an adult beverage and socialize with other parents. No one minds if the little ones get noisy and make a scene… in fact, it’s encouraged! There are also plentiful healthy snacks, diaper changing stations and “chill-out” areas with pillows, books, puzzles and toys for tired dancers. Murphy first started Baby Loves Disco by hosting small parties with friends in her Philadelphia home, and through word of mouth and grassroots networking, the parties have now spread to clubs in dozens of US cities. 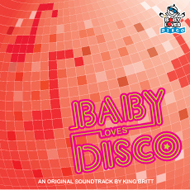 There is even an international presence for Baby Loves Disco, including parties in the United Kingdom, Japan and Poland. Interested in joining in on the fun and hitting the dance floor with your kids? Baby Loves Disco is hitting the East Coast for the next couple of months, and then California, here they come! Go and dance the night (or day) away!